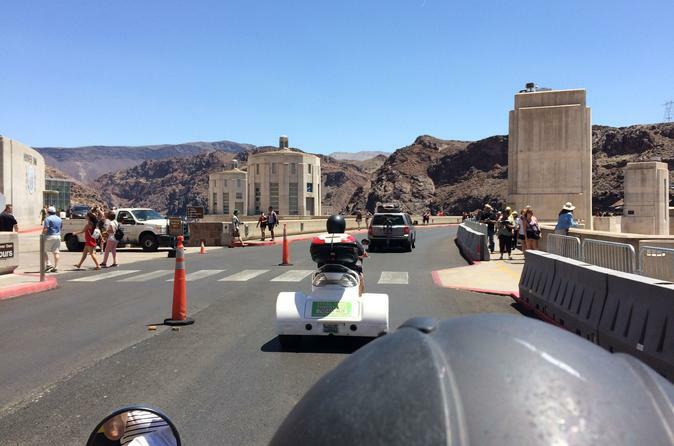 See the iconic Hoover Dam on a motorized trike during this unique guided tour of one of America's top destinations. Perfect for people of all ages, this tour doesn't require a motorcycle license and ensures freedom, control and natural beauty as travelers navigate the terrain on their own bikes. This tour was very fun and our tour guides were very helpful. If you go to Vegas this is a sure thing. This trip was brilliant. 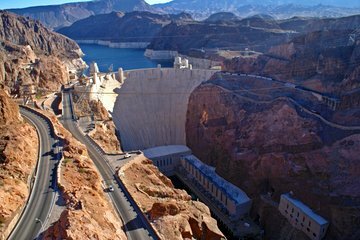 We had time to walk across the DAM and view Lake Mead. The guides were helpful and knowledgeable and the safety training at the beginning was easy to follow. A must do on your Las Vegas holiday. WOW! Highlight of my Vegas trip! My husband loved driving and I enjoyed the ride! Shannon and Buck were awesome and had an answer for every question, passionate and knowledgeable! We like to go on excursions on cruises and this beat them all! Fun day! It is a must do tour. We had a such a good time.